An evolution in human consciousness is underway. Life Upgrade provides support, inspiration and guidance to help you navigate your way through this transformational time and find your way home – to the very heart of You. When the shift begins to happen to you, it can feel like your world has turned upside down. This can present many challenges, and it can sometimes appear as if everything is falling apart. Many people are experiencing this shake up, and it can be reassuring to know that you are not alone. Everyone’s journey of Awakening is unique – many experience an unsettling of perceptions, as the structures of reality start to realign with a greater guiding truth. Though in extreme cases it can seem as if your train has been de-railed, this unsettling is actually a call to action, and an opportunity to get fully on track with who you really are. This shake up is part of a much greater wake-up call for humanity, and its effect is both personal and collective. When the shift happens it can make you question everything: the things you believe, and the things that until now you took for granted. Foundations start to wobble and you may begin to wonder what life’s all about, why you are here, and in fact ‘who you really are’. 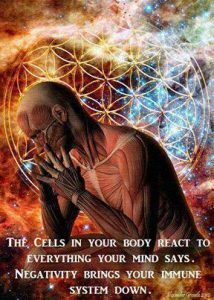 Any and all areas of life can be affected: health, wealth, relationships, career etc. Some people experience small, sometimes subtle nudges to look at disharmony and dissatisfaction in their life and in the world around them, but if those nudges are ignored then issues magnify until it is impossible to ignore them any more. The magnification of buried emotional issues left unaddressed can be enough to trigger physical disease or at least compromise the integrity of the body. A lack of awareness about the quality of what we feed the body, whether through negative thinking, poor nutritional choices and/or bad habits all reduce vitality and impact the body’s natural regenerative process. A crisis of health or wellbeing can be a wake-up call. Many people who see it as this make profound changes, influencing all areas of their life – coming out the other side with a new sense of self, love of life and perhaps a greater sense of purpose. Many people feel pushed to the brink of discomfort, tottering on the edge of change as they ponder what the next step might be. Maybe there are too many decisions to make, or maybe just one big decision. People agonise over decision making – and uncertainty usually brings anxiety. Some people embrace the opportunity to make important changes in life, whilst others feel overwhelmed, anxious, depressed and may become stagnant, stuck or confused. Within every moment, and within all areas of life there are choice points. You can take charge of your life and choose to live authentically, flowing effortlessly with the current tide of transformation. There are many ways to find support along the way through Life Upgrade. Whether you tune in to the huge library of broadcasts; which are Free and offer inspirational insights, guided inner journeys and a unique energy transmission to help release stuck patterns. Or you attend one of our many events – covering all aspects of the Awakening process. 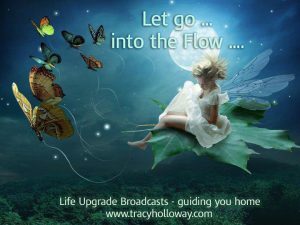 These events, and the broadcasts are all designed to help you connect deeply with your authentic-self and release those aspects that no longer serve you, live your true potential and create the life you choose. There are no limits to what can be experienced through Life Upgrade journeys – whether these journeys are through creative visualisation, or physical journeys with the land and across the globe. Every person is on a unique path and once attuned to a higher frequency those paths naturally lead to the very heart of All – bringing everything together as One. 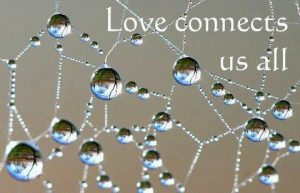 Peace, love, and unity are the foundation blocks to the creation of a New Earth. 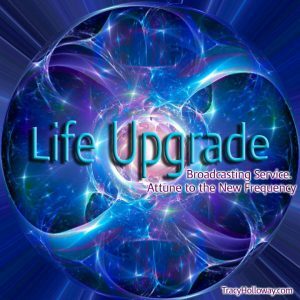 Life Upgrade will support you through this time of personal and planetary Awakening as you make manifest your heart’s dream. On the cutting edge of exploration into consciousness, creating reality and effortless living – Life Upgrade is a powerful transmission through which infinite possibilities to transcend limitation exist. Regardless of where you are on your path right now, everything you need is already within you and you can make a deeper connection to this guiding, inner wisdom now. Here you will find information and insights that will inspire, uplift and empower. It is my passion to deliver simple practical tools and awareness to those who wish to take their lives to a whole new level. If you wish to create health, wealth and happiness through living authentically, on the cutting edge of exploration into consciousness, then you are in good company here. If your life needs an Upgrade, then this blog is jam-packed with new opportunities for you to explore. It is my greatest wish that you shine out in the world, and be all that you came here to be. Win a 2019 Moon Diary! Feel Like You’re Going Backwards? Christal on Win a 2019 Moon Diary! Claire Rebecca on Win a 2019 Moon Diary! CHARLES JOHNNY PERDRIAT on Win a 2019 Moon Diary!